Lucky Patcher is a third-party app that is not available on the PlayStore or App Store. The app is popular for its ability to remove app permission, remove stock apps or inbuilt apps and of course bypass in-app purchase. Lucky Patcher is currently available for Android and you can use the app on the Windows PC with the help of Bluestacks or similar Android emulator. If you own an iPhone and iPad, at the time, the Lucky Patcher does not have any official version of the app supporting the Apple iOS devices. For Android and PC users, here is how to download Lucky Patcher APK (android) and PC. Block Ads – Lucky patcher can also act as an Ad blocker for Android apps as it allows you to block annoying ads on any app. Ability to modify game and apps to get unlimited coins, life and gems. Ability to uninstall unwanted Stock or default Apps from an Android phone. Remove unnecessary app permission from untrusted apps and keep your data safe. Create a backup of patched apps and games to your device. Create a backup of other apps and games to your SD card. Stop license verification of in-app purchases apps and games. Lucky Patcher can do a lot of things, and it is completely free to download. Below are the steps to download Lucky Patcher app and apk for Android and Windows PC. 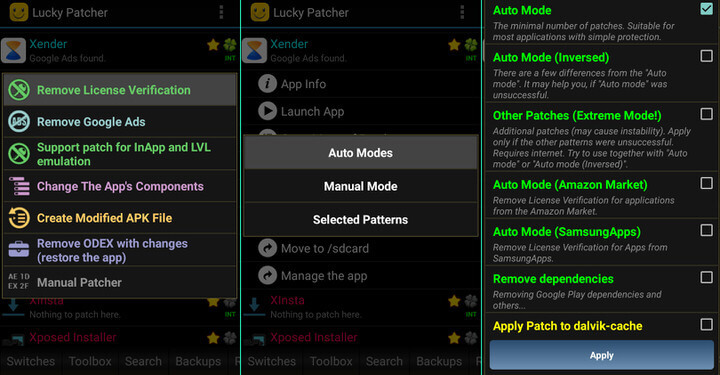 The Lucky Patcher is mainly developed for Android smartphones. The Lucky Patcher app works both on Rooted and Non-Rooted Android smartphones. Here is how to download and use it on your Android phone. Begin with downloading the Lucky Patcher app from the official website here. The file is in Zip format, so you need to extract the file using a file manager app. Use X-Plore or ES File Explorer app available on the PlayStore to extract the Zip file. Inside the Zip file, you will find the Lucky Patcher APK. Tap on the APK file to install Lucky Patcher. Tap the Install button to proceed with the installation process. Make sure you have downloaded and installed the lucky patcher app for Android. Now open the Lucky Patcher app and follow the on-screen instructions if this is the first time you are using the app. Scroll down and tap on “Patch to Android” and select all the Patches. Tap on Apply and wait for the phone to reboot. After the reboot is complete, open the app or game for which you want to make an in-app purchase. Proceed with making the in-app purchase and a popup will appear asking “Do you want to get this item for free“? Tap on Yes to get the item for free. Note: We usually don’t encourage the users to remove the ads as it is the only way for most of the app developers to keep the service running. But, some apps can be extremely annoying with their ad placement. In such cases, you can try to block ads using Lucky Patcher. Open Lucky Patcher App and tap on the App for which you want to block the ads. Tap ” Remove Google Ads” option. Select “Patch to remove Google Ads“. The app will rebuild the app and block the ads. If that did not work, use “Disable Ads activities” option. You can always remove the changes by using “Remove ODEX with Changes” or “Restore” option. You can try to remove License Verification for any app using the Lucky Patcher. Here is how to do it. Open Lucky Pather and tap on the app for which you want to make changes to and select “Remove License Verification”. Select “Auto Mode” and see if the license verification is removed. The developers do not offer any official PC version of Lucky Patcher to the users, but you can install the Lucky Patcher Apk file using any Android Emulator like Bluestacks. 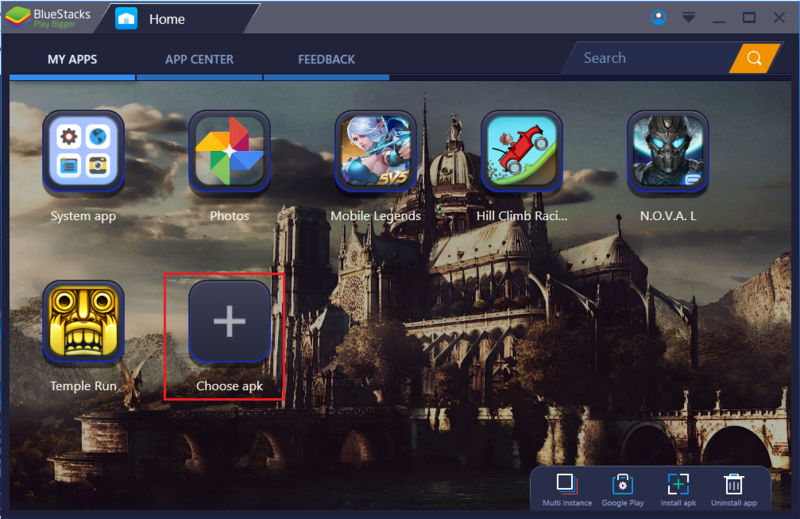 Download and install Bluestacks Installer on your Windows PC or Mac. If you don’t want to use Bluestacks, read our list of best Android emulators for PC. Download Lucky patcher Apk to your PC from here. Next, open Bluestacks Player and go to My Apps Tab. Click on Choose APK option and select the Lucky Patcher Apk you downloaded to your PC. The apk will be installed automatically.